Ina Marvine (Hornbeck) Green, age 88, of El Dorado Springs, Missouri, passed away on Wednesday, October 16, 2013, at Mercy Hospital in Springfield, Missouri. Marvine was born on October 2, 1925, in Stockton, Missouri, to William A. and Ina Aldine (Barnes) Hornbeck. Marvine completed the eighth grade at Amity Country School. Marvine was united in marriage to Marvin Emmett Green on April 10, 1948. To this union two daughters were born: Marva Sue and Sheila Ann. They moved to Kansas City in 1949, where she was a stay-at-home mom. Later she went to Cosmotology School and worked as a beautician’s assistant until they moved back to El Dorado Springs. 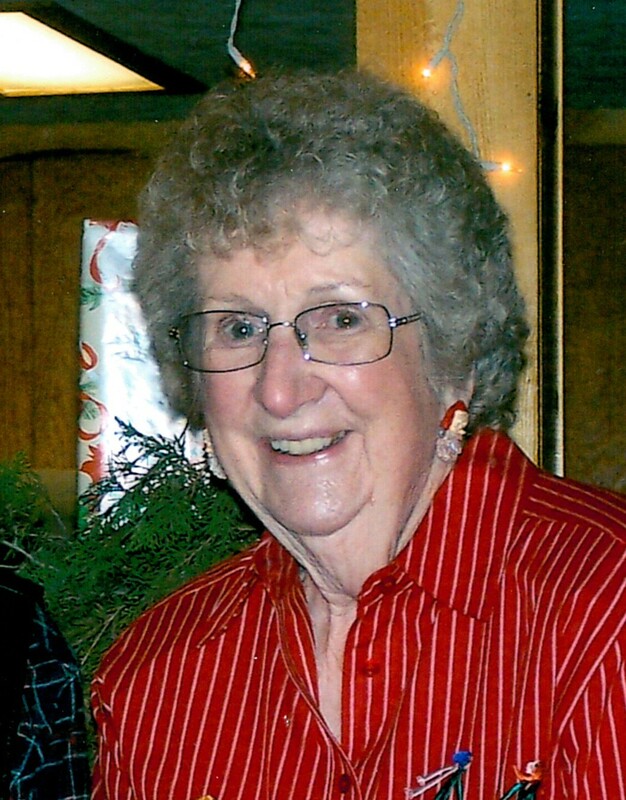 Marvine enjoyed baking and was known for her cinnamon rolls and apple pie. She also enjoyed gardening and traveling with her late husband and family. Some of her favorite places to go were Silver Dollar City and area bluegrass festivals. She had a special bond with her daughter Sheila and granddaughter Sarah because they all shared the same birthday. She loved spending time with her granddaughters and great-grandkids. Marvine was preceded in death by her husband, Marvin; parents: William and Aldine; brothers: Joe, Billy, and an infant brother; two nephews: Jesse Jennings and Roger Hornbeck; and one son-in-law, Smitty Smith. Survivors include one sister, Jerry Jennings and husband, George, of El Dorado Springs; two daughters: Sue Smith, of El Dorado Springs, and Sheila Ponder and husband, J.C., of Springfield, Missouri; five granddaughters: Deanna and Tracy Ponder, of Springfield, Sarah (Smith) Wills and husband, Jackson, of El Dorado Springs, Heather Smith, of Columbia, Missouri, and Ashley Smith and fiancé, Kurt Priebe, of Nixa, Missouri; three great-grandchildren: Ty Berning, Gabriel Wills, and Anna Priebe; and many cousins, nieces, and nephews. Marvine was a devoted wife, mother, grandmother, and great-grandmother. She will be deeply missed by her loved ones and those who knew her. Funeral services for Marvine Green were held Monday, October 21, 2013, at Bland-Hackleman Funeral Home with Rev. Brent Bland officiating. Janice Clayton provided music. Interment followed at the El Dorado Springs City Cemetery under the direction of Bland-Hackleman Funeral Home. Pallbearers were Marvine’s grandchildren: Deanna Ponder, Tracy Ponder, Sarah Wills, Heather Smith, Ashley Smith, Jackson Wills, and Ty Berning. Honorary pallbearers were: J.C. Ponder and Gary Green.